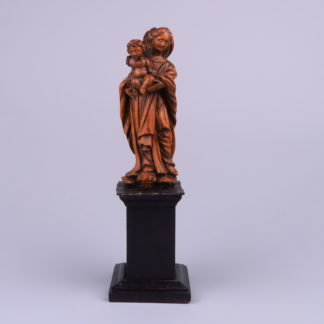 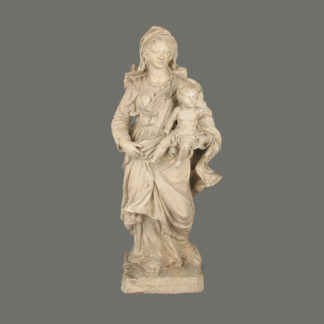 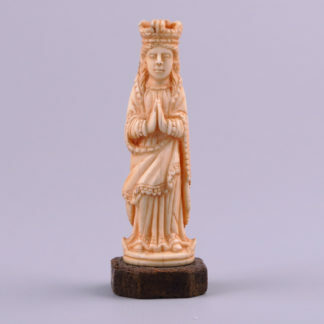 Terracotta Virgin and Child, Detombay Liege 18th C.
Carved Ivory Virgin, Our Lady of Sorrows, Goa 18th Century. 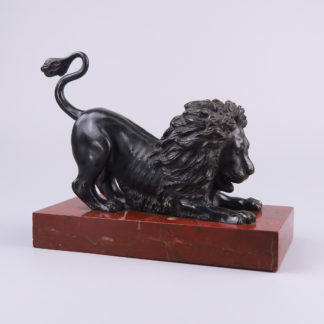 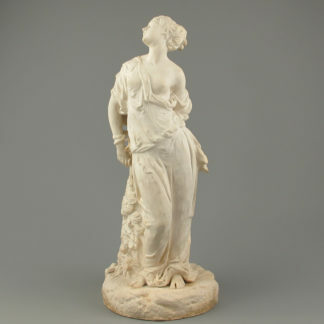 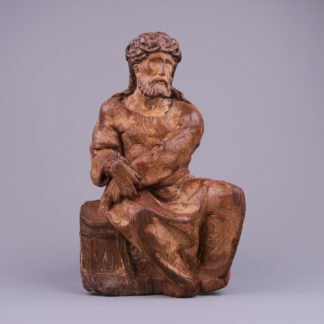 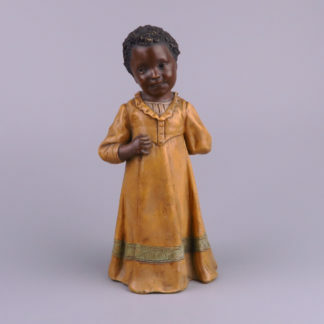 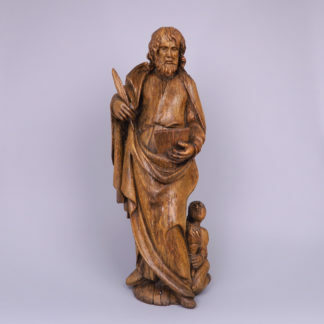 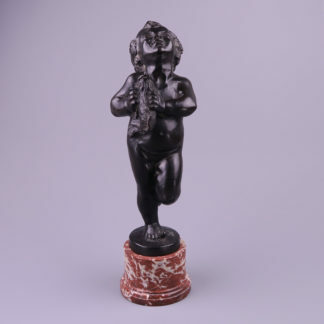 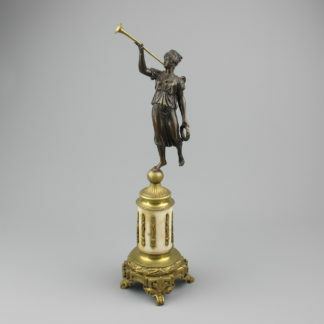 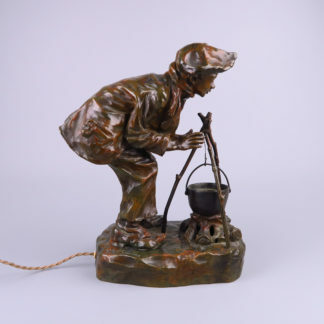 Bronze Sculpture Pheme – Fama 19th Century. 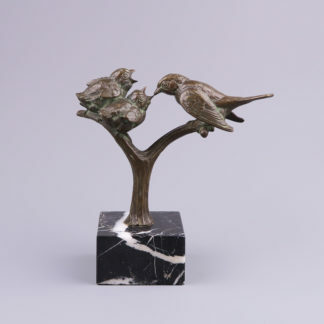 Art Deco Bronze Group of Birds by Wilhelm Robra circa 1920.